You probably just read the announcement from Google about Assistant coming to smart displays, which is really just an awkward way of saying that there will be Google Assistant-powered smart speakers with displays. We’re talking about Google Home-like units with touch displays, similar to what Amazon has with some of its Echo products (like Show and Spot). But who are we expecting products from? We know for sure that Lenovo, LG, Sony, and JBL are all making them. So far, Lenovo has dropped a device on us called the Lenovo Smart Display. 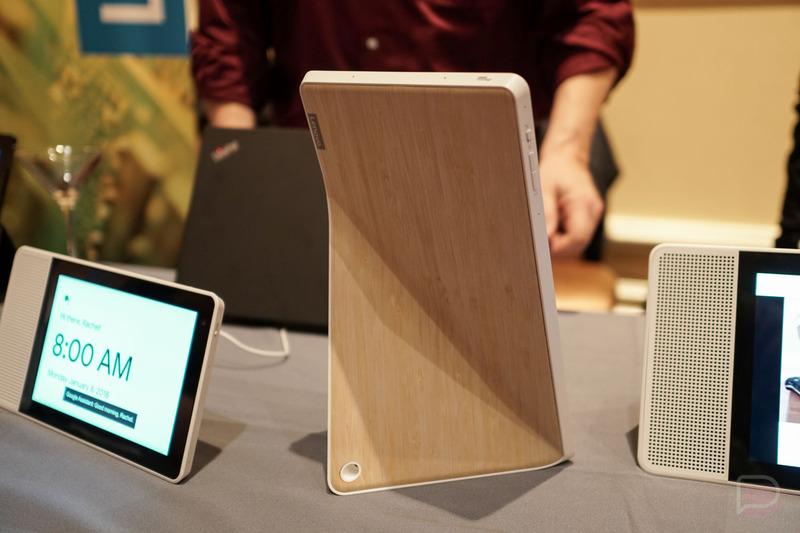 It comes in two sizes (8-inch and 10-inch), should be here this summer (July), and will cost either $199.99 or $249.99. There will be bamboo or grey color options too. 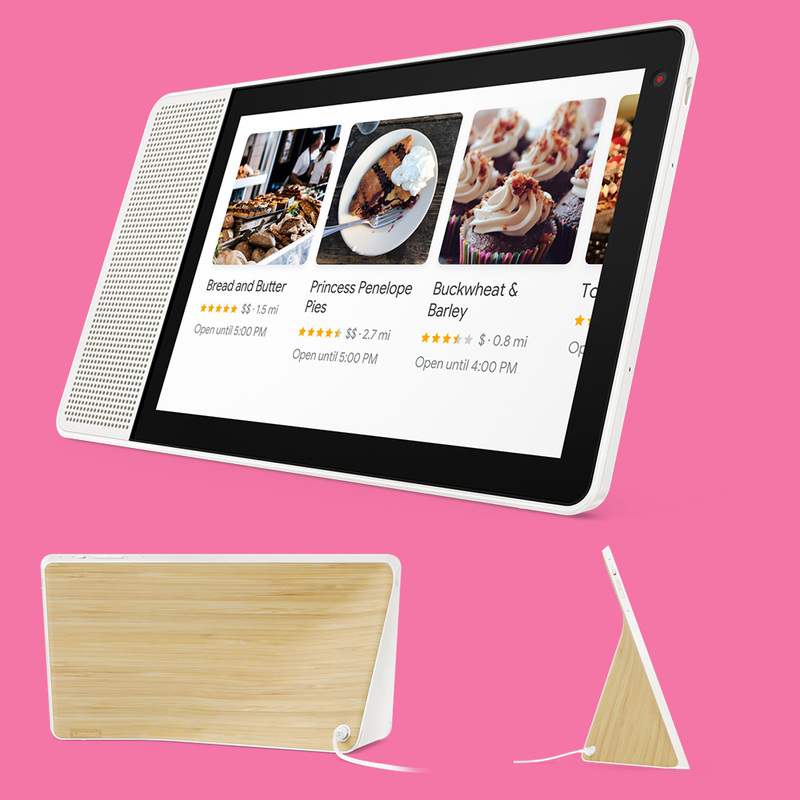 The Lenovo Smart Display can lay horizontally or sit upright, has a modern design with two 10W speakers on one side, 5MP front-facing camera for video calls, and a full HD display. It’s built off Qualcomm’s Home Hub Platform and includes the Qualcomm Snapdragon 624 with integrated CPU, GPU and DSP, 2×2 dual mics, up to 2GB RAM and 4GB storage, plus Wi-Fi and Bluetooth. LG’s entry into the Google Assistant smart display arena is the ThinQ Google Assistant Touch Speaker and we don’t know much about it in terms of pricing and availability. What we do know is that it sports an 8-inch touch display, has a front facing camera, and should sound pretty good, thanks to dual speakers that are tuned by Meridian Audio. JBL, a Harman company that is owned by Samsung, is all-in on Google Assistant integration into its products. Not only did they announce new headphones with Assistant, but they’ll be one of the first with a Google Assistant smart display device. 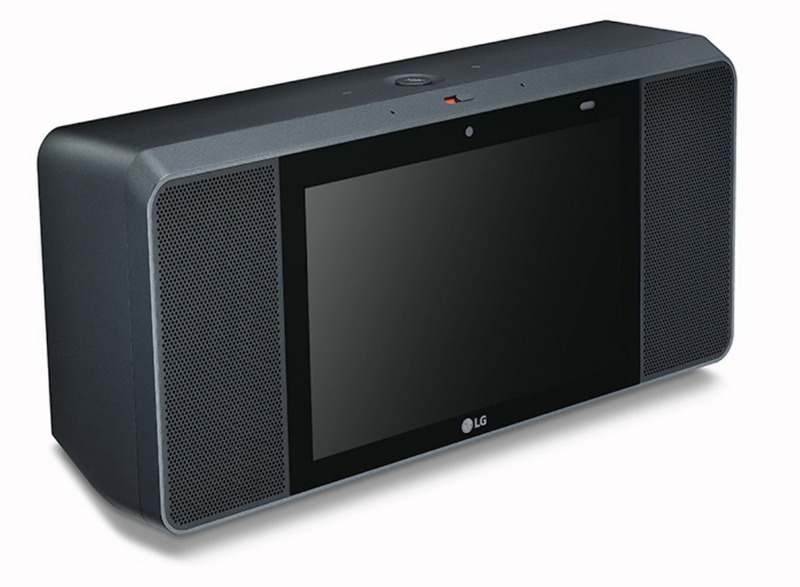 The JBL LINK View should be here by this summer, though we don’t yet know pricing. 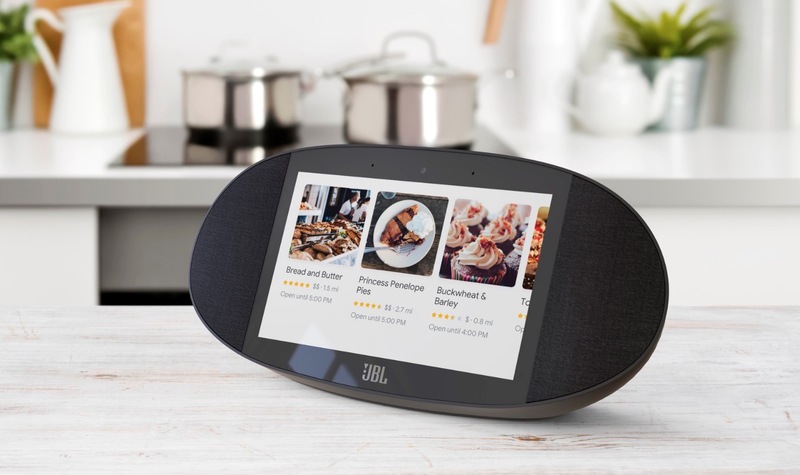 As for features, the JBL LINK View has an 8-inch HD display, two 10W speakers and a dedicated passive radiator, 5MP front camera, WiFi, Bluetooth, and is IPX4 splashproof. While Sony is listed by Google as one of the first partners to create a Google Assistant smart display product, they haven’t announced any details. Once we know them, we’ll update this post. Any of these look appealing to you?